Are you still shopping for a New Year’s resolution? How about “I’m going to travel more”? That plays well at the party, but it helps to get specific. There are many categories of trips and adventures. See which one jogs your imagination to get your travel engine running. I’m having lunch today with a good friend to get a full report on his “Route 66” trip. It was a family affair. First he flew to Chicago to meet his son. From there, they drove to L.A. in a Ford Mustang. I would have picked a Corvette — but everyone gets to plan their own journey! For many Alaskans, the mother of all road trips is right in front of us: the Alaska Highway. As part of a research project, I drove two of the three or four routes from Anchorage to the Lower 48. On the outbound leg, I drove to Haines and caught the ferry to Prince Rupert, British Columbia. On the return trip, I headed north from Spokane, through Banff and Jasper back home through the Yukon. It was an incredible trip, and I’m planning on exploring another route in 2019. Part of the planning process for a road trip is what you’ll drive. Down in the Lower 48, the fast muscle car works just fine. But for my first trip on the Alaska Highway, I was concerned about frost heaves, construction and other road hazards. That’s part of the reason I rented a Toyota 4Runner from Avis for the trip. I made sure there was a full-size spare and threw in a tire iron, some flares, jumper cables and a gas can. I didn’t use any of it. The whole route is paved now. Some folks plan for the trip in an RV, while others (myself included) hop from hotel to hotel. There also are great road trips right here in Alaska, including the Denali Highway, the McCarthy Road and the Dalton Highway. These roads are off the beaten path because they’re gravel. If you cruise along at 35 miles per hour, it’s OK. You can take your own car, of course. But if you want to rent a car for these drives, find a company that specializes in gravel-road operations. In Anchorage, Alaska 4x4 Rentals has SUVs. Up in Fairbanks, if you want to head north on the Dalton Highway, Arctic Outfitters rents cars for the trip, complete with CB radios, two spare tires and a maintenance kit. This was a dream of mine — and I recommend it. It took a month for me to make my way across four continents, never unpacking my suitcase. My second stop was in London, where I visited with Stuart Lodge, of Roundtheworldflights.com. It’s possible to circumnavigate the globe with just two or three stops, but that’s not the best way to do it. Rather, Lodge and his company offers travelers the chance to build their own itinerary or purchase one of the company’s pre-packaged itineraries. After a few minutes, Lodge told me his quest was to develop round-the-world trips as the preferred “gap year” format. Several of his itineraries include “surface segments,” where travelers make their way from, say, Paris to Venice by land. Part of the allure of some the round-the-world itineraries is the ability to change the dates along the way. That didn’t work for me, though, since I bought a mishmash of one-way tickets around the world. But it may work for my next trip! It’s hard to beat our very own Alaska Railroad for scenic rail journeys. There’s another railroad in Alaska, in case you didn’t know: the White Pass and Yukon Route. This railroad trip starts and ends in Skagway and retraces the route used by gold miners in the Klondike Gold Rush of 1898. Now you can take the ride from the cruise ship dock up to the White Pass Summit and back in four hours. It’s a great trip. Down in Canada, VIA Rail Canada offers a number of itineraries if you want to take the slow route across the North American continent. The “Great Western Way” goes from Vancouver to Toronto, with stops in Jasper, Edmonton and Winnipeg. This includes the scary trip through the Fraser River canyon! The Trans-Siberian Railway is on my bucket list. It starts in Vladivostok and goes all the way across Russia to St. Petersburg. Depending on your time constraints, you can ride a part of the route or the whole thing. And there are several ways to do it: independently, as part of a group tour or on a private train. Two agencies in Seattle offer packages and customized trips on the Trans-Siberian Railway: MIR Corporation and Red Star Travel. Red Star’s 19-day package starts at $6,980 per person. 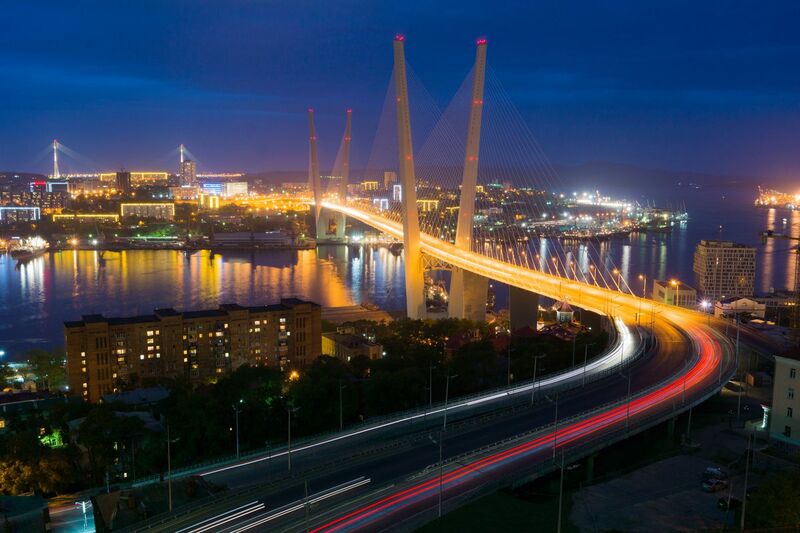 MIR offers a private rail tour in mid-winter from Vladivostok to Moscow for $17,795 per person. Both companies can custom-design trips. There are several other “signature” rail tours for enthusiasts, including The Blue Train between Cape Town and Johannesburg, South Africa and the Venice Simplon-Orient Express between London and Venice. But I’d be happy just traveling again on France’s super-fast “TGV” between Avignon and Paris. Whether it’s for a Broadway play, a music concert or a sporting event, it’s always fun to plan a long weekend (or longer) for a big event. Earlier this year my wife, Christy, and I cashed in some points and flew to Chicago to see “Hamilton,” the acclaimed musical by Lin-Manuel Miranda. We had to pay for the play tickets (about $350 per person), but were able to redeem Alaska Air miles to Chicago and Chase Ultimate Reward points for the hotel. Do you want to go to the Super Bowl in Atlanta this year? StubHub has seats for $3,950 per person. Go see Miranda Lambert in Chicago this summer at the Country LakeShake Festival. Or, go see Michelle Obama when she is in Tacoma at the Tacoma Dome on Feb. 8. Don’t forget to save room on your list for fabulous adventures in your own backyard. Folks come from all over the world to see the bears, the northern lights and our glorious mountains. They fish, they hike, they raft the rivers and cruise the waters of the Inside Passage. You should check it out, too.